Tue, 4.28.2015. Thinking about dolls again. Not refined art dolls. Simple "spirit" dolls. In so many cultures, dolls play an important roll. They aren't what you mindlessly give little girls a hundred of. Probably through Pinterest I stumbled upon the "handerchief" or "church" doll. 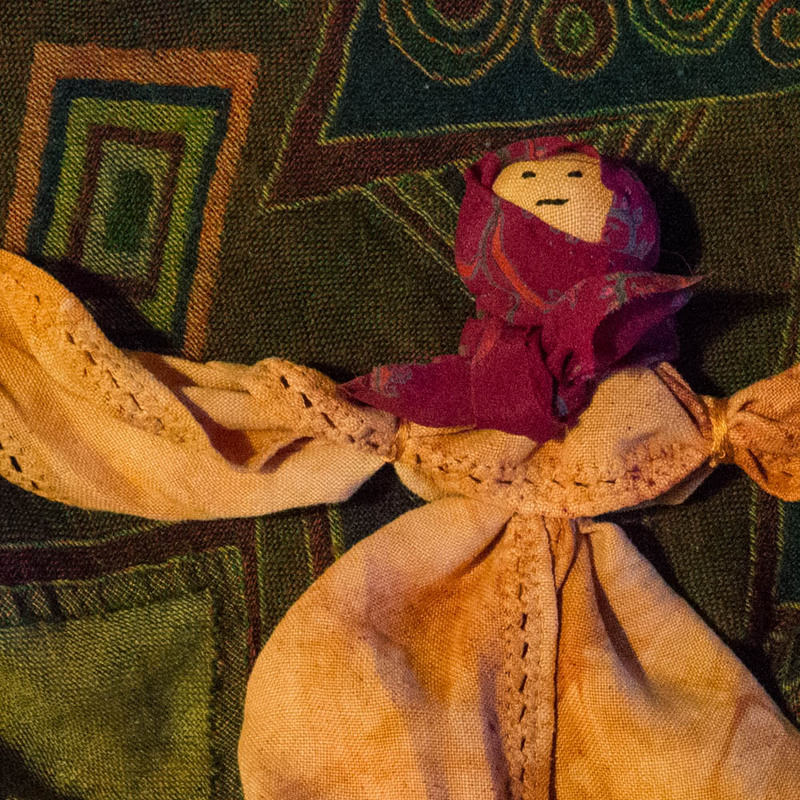 Legend has it that during pioneer days, a fidgety child in church was often entertained by a parent's handkerchief knotted into a doll. 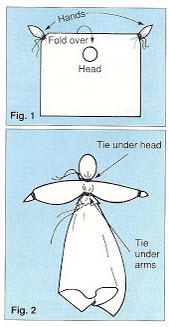 This basic diagram for construction was done in 1992 by Kathy Ballard for Country Woman and is reproduced many places. I got the one here from the very informative entry at Homemaker's Journal blog. 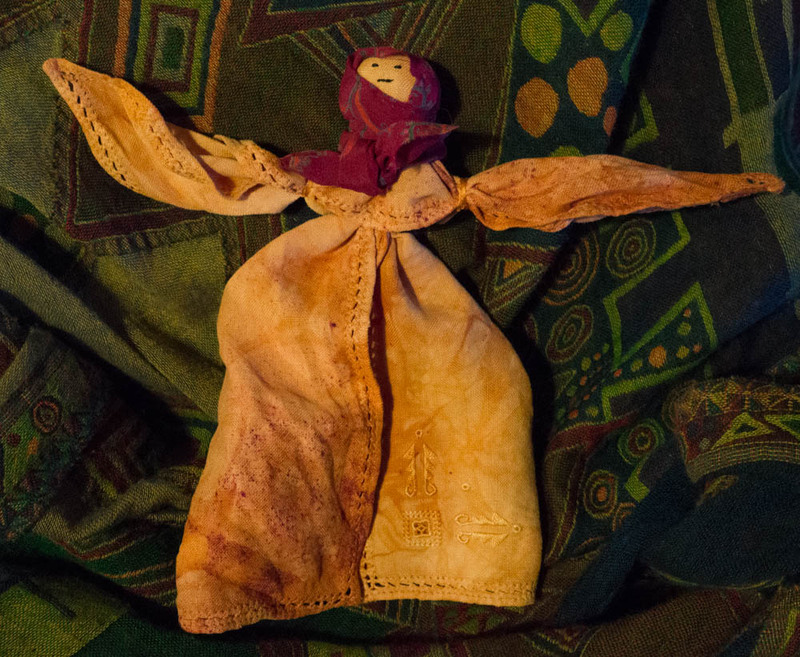 I decided to use a pretty hand-dyed linen napkin for my doll. Me being me, I wound up battling with the cloth over several sittings, using rubber bands and string to tame it, wondering what possessed me. Then her head looked wierd so I found a scrap of silk for a scarf. Dolls without faces creep me out somehow, but I wanted to keep this project minimalist, so I added just a few stitches to bring her to life. 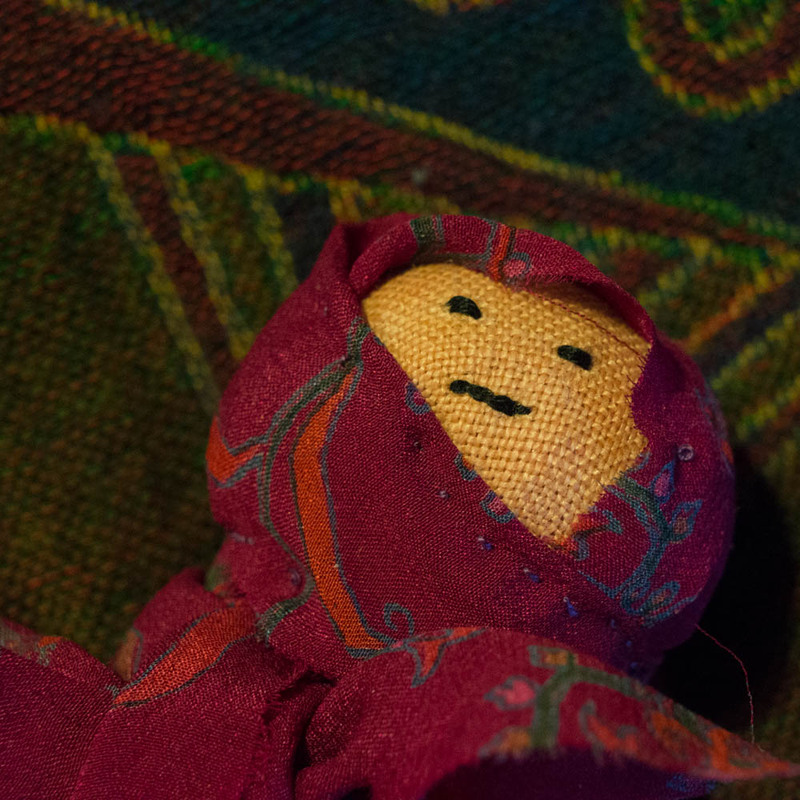 Once I was satisfied, I stitched her scarf on and replaced the string with embroidery floss. I think she is sweet.